Standard features page for a comprehensive list. The M30 allows you to easily and simply connect multiple temperature probes, temperature sensors, thermostats and environmental computers. Once connected you can distinguish between each device very easily during an interrogation or alarm call as each connection has its own dedicated message. 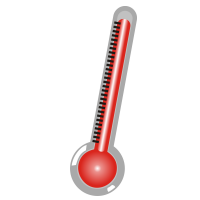 The M30 is used in a varied selection of industries to monitor temperature including; Medical, Pharmaceutical, Manufacturing, BMS, Horticulture and livestock. The M30 is designed and built by us in the UK, so if there is a special feature or function you need for your application please let us know and we can normally create that feature with you. 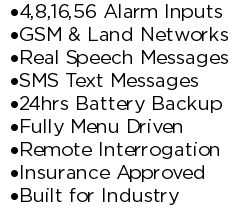 The above is not a complete list of all the available features but just a selection of the highlights, please visit the M30 alarm dialer Standard and Optional features pages for a complete set or contact us today for pricing. Our UK built and designed M30 Alarm System was created specifically to protect remote and unmanned sites and equipment. 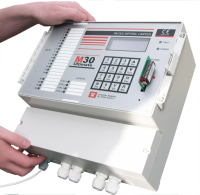 As the M30 is purpose built for remote and harsh environments it comes with all the types of features you might expect including; 4,8,16 or 56 dedicated alarm inputs, voice and SMS alarm messages, integrated 24/48 hour battery backup, low battery alarm, basic surge protection, an IP56 Enclosure rating and a user friendly LCD and keypad. Even if your remote site does not have any electricity or phone lines or if they are intermittent you can still use the M30 as it can be run off a 12vdc supply and you can use the GSM mobile/phone lines to make and receive alarm messages. The M30 is used around the world by a variety of different businesses and in a multitude of applications including; Railways in Hong Kong, Gas & Oil in Scotland and the Fareo islands, remote power generation on dams and landfills, remote and unmanned livestock farms. 4,8,16 and 56 individual inputs / channels. Voice, SMS, Pager alarm messages. 24 Hour plus battery Backup. Because the M30 is designed and built by ourselves in the UK if there is a special function you need for your application or site then please just ask as we will normally be able to create it for you. The above list is only a small selection of the M30 features, for more comprehensive information or pricing please Contact Us or visit the Standard or Optional Features pages. We have been producing Alarm and Remote Monitoring systems for Manufacturing Plants and large industrial sites since 1958. 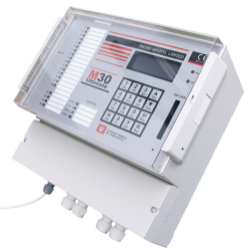 Our Latest Alarm system is our M30, it is a purpose designed unit that comes with 4,8,16 & 56 individual inputs. 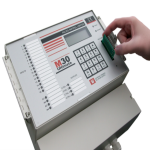 When the M30 detects an alarm signal it will automatically communicate the problem to the correct on call personal via Voice Message, Text Message, Pager or Data. It can also trigger a local sounder or strobe, the M30 can also be used to remotely switch devices on or off. The M30 can connect to and send messages over both the standard PSTN phone network and also the Mobile/Cell phone networks as well as sending SMS text messages. The Mobile / GSM connection can be used either as your main form of communication or as a backup. If you use it as a backup the M30 will monitor the connected PSTN line and then if it fails automatically switch to the GSM networks. Real Speech and Text Messages. Each input on the M30 has its own user recordable Speech message and SMS text message, this means when you receive an alarm call or text you will get a message that will allow you to easily identify the problem i.e. “Mains Failure in Plant Room 12” rather than a generic “Channel 12 Alarm Condition” message. The M30 SMS feature is very simple to use, while setting up the unit you just select whether you would like each alarm recipient to get an SMS and or Voice message. Every input on the M30 has its own dedicated customisable message, meaning that that instead of getting a generic “channel 1 alarm” SMS message you would get a much more useful “High Temperature in LAB B” message. If you have no PSTN land line available the M30 will use the mobile phone networks to send the alarm messages. If you have a PSTN land line available that you want to use, the M30 will monitor that line and if it is cut or fails the M30 will automatically swap across to the mobile phone network to send your alarm messages. The M30 will send messages to both Mobile phones, normal landlines and Pagers over both mediums. Like the SMS messages each input has its own user recordable speech message. The M30 is designed and built by our selves in our UK factory, because of this the M30 is totally customisable, so if you want the M30 to work or function in a particular way we will normally be able to customise the unit for your exact needs. Below is a small selection of the features that are available on the M30, for a full list please visit the Standard or Optional feature pages. Integrated 24 hour plus Backup Battery. 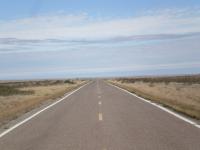 Mobile Phone Network communication and backup facility. Our M30 Alarm Autodialer is purposely designed for Monitoring the Environment in your Computer Room or other critical areas where environmentally sensitive and high value items / Processes / Lives need monitoring. 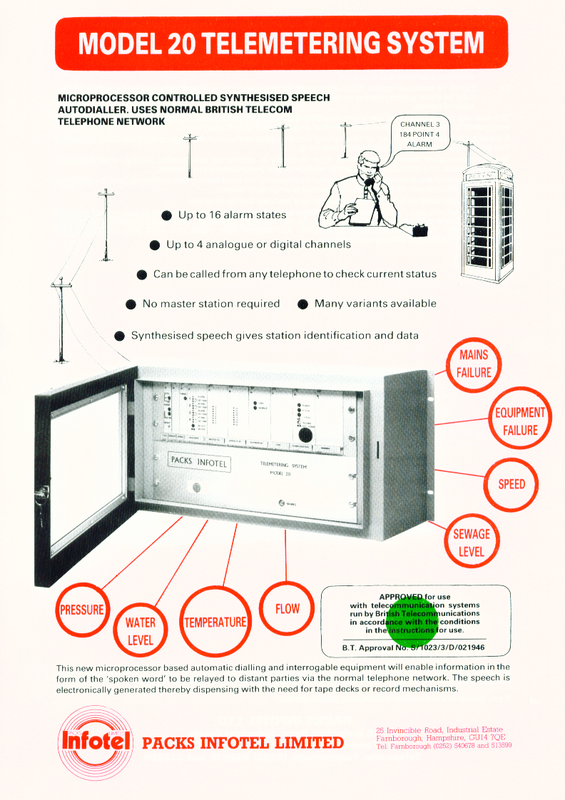 It does this simply connecting to your existing equipment and or our own monitoring devices and then when any problems occur communicating it by speech, SMS or data over PSTN land lines or via the mobile phone network. you by pre programming your unit to your specification prior to dispatch. The M30 comes with 4,8,16,32 or 56 individual alarm inputs, meaning you can connect “X” amount of separate devices all with their own individual user recordable speech or SMS message. The M30 can send both user recordable real speech messages and SMS messages to each of the programmed alarm contacts. Each speech or SMS message is user configurable and is made up of 2 elements, a machine identifier and the message. This means that instead of getting a useless “Channel 30 Alarm Condition” you can setup a much more useful. “Acme Computer room B High Temperature Alarm”. The M30 is an Auto Telephone Dialer alarm system that works wirelessly over the GSM mobile phone networks or can work over a standard PSTN land line phone system. The M30 has been purposely designed to work in harsh and hostile industrial conditions. and comes with all the types of feature you would expect from an industrial machine – including 4,8,16 & 56 separate inputs, over 24 hours of battery backup, an IP56 enclosure, Integrated mains failure detection plus many more. Check out the features section below or visit the Standard Features and Optional Features pages for more information. The M30 can send both wireless speech and SMS messages over the GSM mobile networks. The Speech side can be used as the main communication medium or as a backup device if required, each M30 comes with a standard PSTN landline connection, the M30 monitors the landline and if it fails automatically switch’s to the GSM networks. 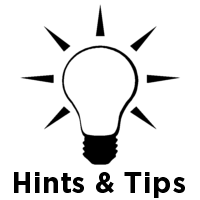 The outgoing alarm messages are very easy to setup; While programming in your alarm contact telephone numbers you just select whether the recipient gets a Speech or an SMS message. Each input on the M30 has its own dedicated Speech or SMS message plus there is a machine identifier. So instead of getting a “Channel 18 Alarm Condition”, you get a much more useful ” London Reservoir – High water level section B2″. The Speech messages are fully user recordable via the Menu and LCD. If the user wants to change the SMS messages we just send out a replacement card that slots on the front. The above is only a small subset of the available features on the M30 Telephone Dialer; for a complete list visit the Standard Features and Optional Features pages or contact us for a quote.